offers you private rental apartments and townhouses in and around Carvoeiro, Algarve. 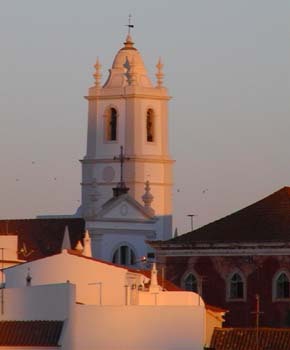 We have been visiting the Algarve for 30 years, so we are able to give you the personal touch! If you want villas with the option of the pool or the beach, with shops and restaurants all within 3km, please visit www.villa-in-carvoeiro.com. 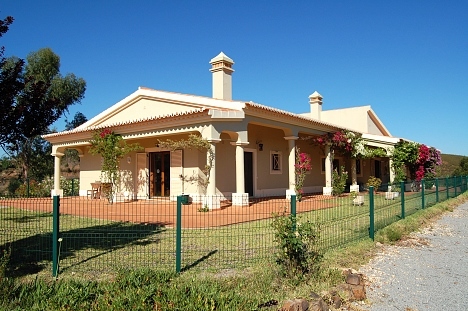 Alternatively on www.secludedalgarve.com have properties for those wanting to get away from it all, but still only up to 25 minutes from the beach. Casa Borboleta is a first floor apartment with a partial seaview. This is stylish 2 bedrooms and 2 bathrooms property, close to the centre of Carvoeiro. There are two communal pools in front of the apartment (plus use of 4 others on Monte Dourado), 2 tennis courts on site, and beautiful Carvoeiro beach is only a few minutes walk, as are a large a selection of bars, shops and restaurants. 16 Monte Dourado is a first floor apartment with a partial seaview. This is stylish 2 bedrooms and 2 bathrooms property, close to the centre of Carvoeiro. There are two communal pools in front of the apartment (plus use of 4 others on Monte Dourado), 2 tennis courts on site, and beautiful Carvoeiro beach is only a few minutes walk, as are a large a selection of bars, shops and restaurants. We now act as agents for Monte Dourado and can offer you there range of apartments when our private owners apartments are not available, subect to availability and resort normal prices. Monte Dourado has 5 swimming pools, 2 tennis courts on site, WiFi and beautiful Carvoeiro beach is only a few minutes walk, as are a large a selection of bars, shops and restaurants. If you are looking for a property closer to the beach (within 3km) we have a selection of apartments, townhouses and villas on www.villa-in-carvoeiro.com from in the town to quieter locations. Accommodating 2 - 14 people there is sure to be something for a great get away holiday for you, or to use as a base to explore the Algarve. If you are looking for a property to escape from it all then we have a selection of properties on www.secludedalgarve.com that can offer you something different, but still only up to 25 minutes from the beach. Accommodating 2 - 6 people there is sure to be something for a great get away holiday for you, or to use as a base to explore the Algarve.